You don’t have the money to pay for your home loan, you are scared the lender will sell your home, ever heard about homestead it can help you during difficult situations. A homestead protects your equity on the house, if the money you have borrowed is lesser than the price of the house then the homestead can protect your share in the house. You can have two types of homestead automatic and declared. In case of automatic homestead you don’t have to go for any paper work if you live in the house you owe, it gives you time to sell your house. The declared homestead is a legal one for such a homestead you need to satisfy several conditions, this homestead is applicable only to the house you live in now. You can easily file for the homestead by filling the form and getting it notified, if a company helps you in process they cannot charge more than 25 dollars. Now people can together own assets. How is this possible? Fractional owner ship lets a group of people consisting of 2 to 10 own assets together the all have rights to that asset. At time fractional ownership turns out to be time sharing, for true fractional ownership you got to go to the legal department. when people themselves decide to buy a property jointly, its most cost effective as builders are not able to charge extra for buying in group. When the owner or developer leads this type of scheme he sells a fraction of asset to each buyer but the rate will be higher as if the fractions are unsold he suffers a loss. 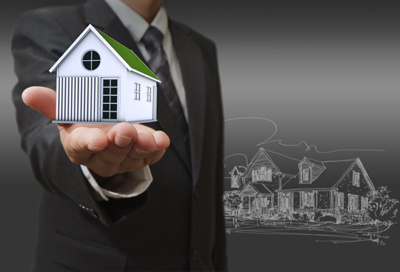 the third scheme is a mixture of the above two this is called clubs in this case you jointly buy property but the benefits availed are like the fraction buy, but the club is not a legal term go for such a scheme you will have to search a bit more in depth. It will cost you lesser than the amount if you had brought the property in whole, but do check the price and compare it to get the best deal possible. How to maximize your money? If you have in mind to maximize your money market account is the way, this investment if done properly will give huge benefits. But be clear about the fact that this differs from money market funds, knowing the difference is important. Money market basically stands for a market where bank, business men and others trade and a money market account is a kind of savings account that yields high interest. While on the other hand money market funds deal with stocks it’s not a premium savings account. For opening such an account visit your nearest branch of your bank, what the bank does is it invests your money into certificate deposit’s or treasure deposits which are low risk investments, so you get high interest rates for letting the bank invest your money. But make sure your bank is Federal Deposit Insurance Corporation (FDIC) approved otherwise if your bank goes bankrupt you lose all your money. Also know all the account details like the minimum balance to be maintained and the amount that can be withdrawn is you don’t follow the guidelines penalties can be applied on you.